Winter isn’t so bad when you have all the firearm and gun season supplies you need to get your trophy buck or other sought after game. Goods For The Woods has a variety of ammunition brands for rifles and handguns. Muzzleloading, reloading, accessories also available. Goods For The Woods has a large variety of rifles for target shooters and hunters. We have rifles from top brands like, Ruger, Smith & Wesson, Tikka, Beretta, Winchester, Browning, Daniel Defense, Rock River Arms, Sig Sauer, and more. 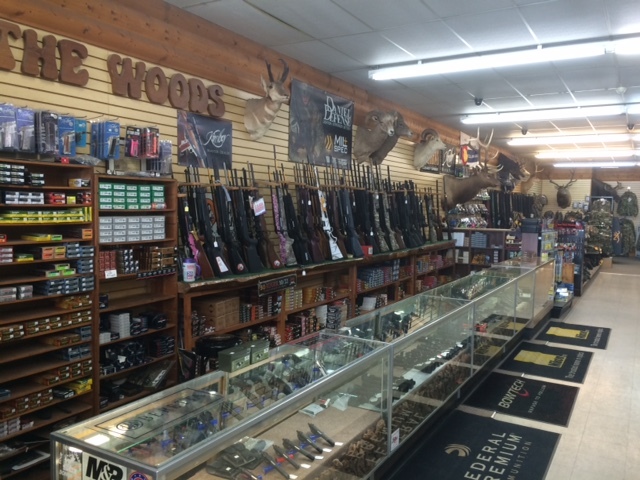 Our Durango hunting store has all types of shot guns available, including pump-action, semi-automatic, tactical pump, and several others from the best industry brands. We have Durango’s largest selection of new handguns. With brands like, Ruger, Sig Sauer, Kimber, Smith & Wesson, Glock, Browning, Springfield, and Beretta. We also frequently have consignment guns available.